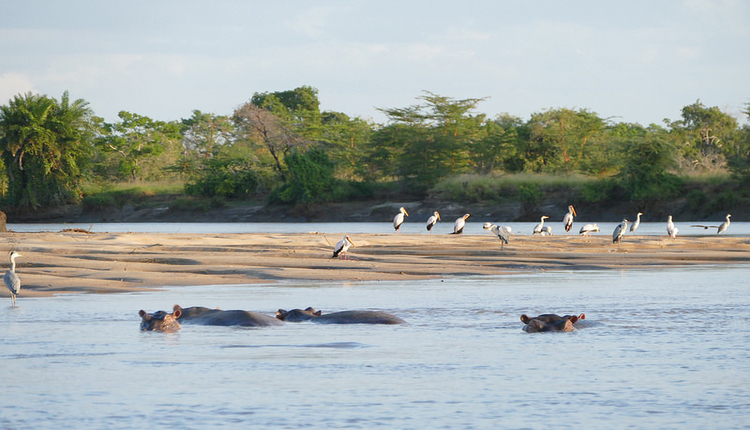 Often overshadowed by its neighboring park, Selous Game Reserve, Ruaha National Park is one of the most understated attractions in the country. With its addition of the surrounding wetlands plus Usangu Game Reserve, it is now not only the largest park in Tanzania but the largest one in the whole of Africa. 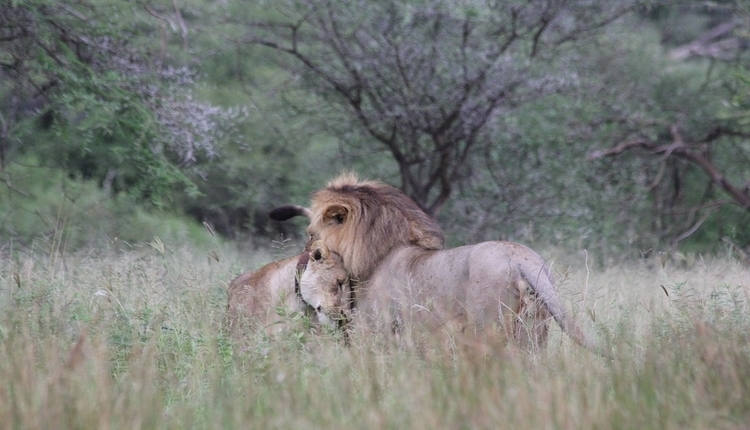 Tucked away from the mass tourism in the north, Ruaha National Park offers you an untouched open space and a diverse ecosystem that’s a magnet for game. It hosts a huge hippo population among all other big game animals, and it is home to 10% of the world’s lion population. Much of the park is roadless and unvisited, making every visit feel wilder and intrepid. Since there are only a few camps around the massive park, you can barely see other vehicles — like having the entire wildlife-ridden park to yourself! The best way to get to Ruaha is to catch a 1.5-hour charter flight from Dar es Salaam. Coming from the north, you can also catch a flight from Arusha via Kilimanjaro Airport or even from the Serengeti region which will only take about 2 hours. If you want to take the road, you can drive from Dar es Salaam to Iringa for 8 hours and then further down to Ruaha for another 2 hours, for a total driving time of approximately 10 hours. Some travelers make a stop in Mikumi National Park, which is about 5 hours away from Dar. So if you want to make this pitstop as well, consider adjusting your schedule. Before 2005 when it was gazetted as a national park, Saadani National Park was a hunting ground that showcases a wealth of large mammals including giraffes, warthogs, greater kudus, wildebeest, yellow baboons, rare Roosevelt’s sables and four of the Big Five: lions, elephants, buffaloes and leopards. Since its establishment as a park, its wildlife concentration has significantly increased. Geographically the closest wildlife sanctuary to Dar es Salaam and Zanzibar, it is logical to visit Saadani National Park especially if you’re traveling with kids or elderlies in tow. It is also just almost directly across the famous Stone Twon in Zanzibar, making it one of the most easily accessible parks in the country as well as an ideal day trip, add-on or perhaps even a highlight to one’s travel itinerary! Aside from the ease of access, what’s interesting about Saadani National Park is that it is the only wildlife park that offers a beach front on the gorgeous Indian Ocean. You can find mangrove swamps and a palm-fringe lined beach, and if you’re lucky, you might even catch a glimpse on dolphins and whales passing through the Zanzibar channel during their migration! There are also other activities you can do around the park. You can go on exciting game drives, guided walking tours or embark on a boat trip on the mangrove-lined Wami River. By air, it will only take you about 15 minutes to fly to and from Zanzibar & 30 minutes to and from Dar es Salaam. By road, driving time from Arusha is approximately 6 hours; from Pangani is about an hour; and from Dar es Salaam is 4.5 hours. Being a gateway to some of the world’s most spectacular wildlife reserves, Arusha’s own gem, Arusha National Parkx is often underappreciated. Although the park is small, it features a varied landscape made of grasslands, alkaline lakes and a magnificent 4566-m high volcano, Mount Meru — Tanzania’s second highest peak. For one, it is conveniently located in Arusha. Two, it is the perfect starting point to any Mount Meru hikes. Three, it promises a prolific birdlife and of course, it features a beautiful scenery that’s habituated with animals that are not usual in other northern parks. These animals include the black-and-white colobus monkey, red duiker, blue monkey and the small Kirk’s dikdik. 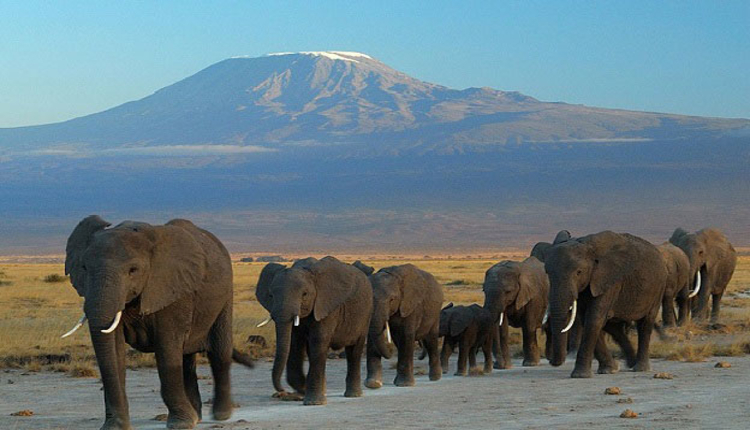 Arusha National Park is only 45 minutes away from the city proper of Arusha. Since Arusha is a popular safari gateway, there are several ways available for local and international visitors to get here. The most common and convenient is to fly to Kilimanjaro International Airport (JRO). Another option is to catch a flight to Julius Nyerere International Airport (DAR) in Dar es Salaam and then fly domestic to Arusha Airport (ARK) or Kilimanjaro International Airport (JRO). Alternatively, and arguably the cheapest way, is to go to Nairobi, Kenya via Jomo Kenyatta International Airport (NBO) and then take a shuttle bus to Arusha. 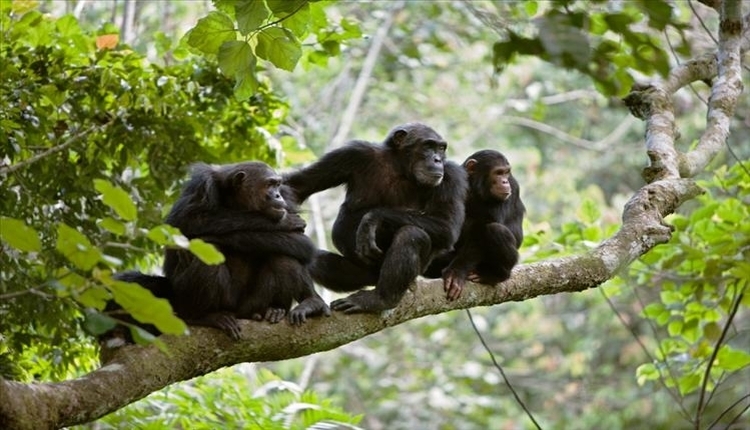 Popular for its wealth of habituated chimpanzees, Mahale Mountains National Park remains to have a less touristy vibe. It is located in the extreme west of Tanzania on the shores of Lake Tanganyika, making it the most remote park in the country. The park features a 1613 square meter area of forested mountain cascading down to the lake shore. It gives safe haven to about 1700 chimpanzees, in which 60 of them (known as the “Mimikere group” or “M group”) are well-habituated and have been subjects for research for over 40 years. Mahale Mountains National Park is one of the best places in the world to experience close encounters with chimps and arguably the best primate park in Tanzania. It also offers a myriad of other activities including kayaking, snorkeling and hippo- and crocodile-watching in Lake Tanganyika. What makes this remote, dense forest more magical is the view it presents especially during sunset when the sun peers over the Congo Mountains in the distance and it creates an amazing reflection in Lake Tanganyika, displaying a surge of purple, pink and orange hues in the horizon. This extremely remote park is frankly not very easy nor cheap to get to. The only way to get here is to catch charter or domestic flights from either JRO or DAR. Charter flights between parks are usually handled by professional tour operators while domestic flights can be booked via airlines such as Safari Air Link. 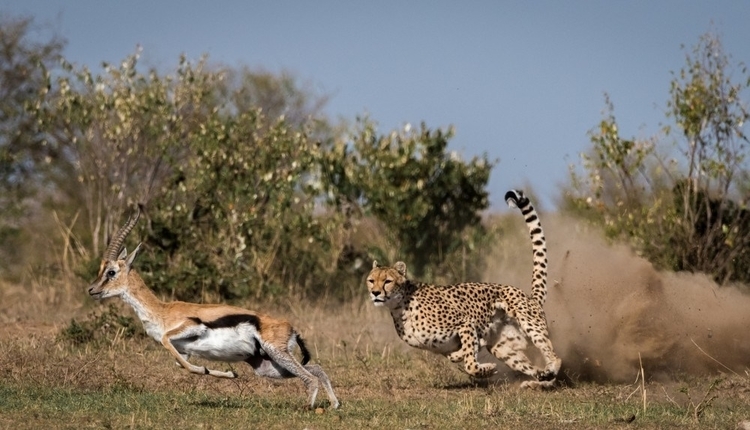 Located in the northern safari circuit, Tarangire National Park is an underrated wildlife sanctuary that is slightly off the main safari route and thus often missed despite being a neighbor to Lake Manyara National Park, one of the more popular attractions in Tanzania. Tarangire is the sixth largest park in the country and is home to the country’s largest elephant population with herds of about 300 elephants around its marshlands and watering holes. In fact, during dry season, the park’s lake attracts more or less 25,000 mammals. Apart from the rich widlife it hosts, Tarangire National Park also holds the highest number of birds in Tanzania, making it a twitcher’s ultimate paradise. It features a stunning forested landscape with scattering baobob and acacia trees and a wealth of watering holes. Tarangire holds an enormous herd of wildlife and yet only few tourists come to visit. Hence, majority of the park’s ecosystem remain virtually untouched. If you visit this park, you don’t only get to enjoy the place and the animals sightings to yourself, you also get to travel on the road less as this is slightly nearer to Arusha than other more famous parks. Also, if you want to see plenty of elephants and especially witness elephant mud baths like the ones you see in photographs and National Geographic videos, Tarangire National Park is just the place for that. If you come during dry season, the Tarangire River is a utopia filled with elephants and other mammals, and an excellent spot for a walking safari due to its low amount of predators. Starting from Arusha, driving to Tarangire National Park will only take about 2 hours. It is also just about 2 hours away from Lake Manyara and 4 hours away from Ngorongoro Crater. Albeit being slightly less famous than the others, these not-so-popular parks in Tanzania can definitely complete your African adventure. You can either mix them with other famous parks in your itinerary or you can allot special days just for them (especially the remote attractions). Either way, you’ll definitely be able to get the most out of your Tanzanian experience. Besides, the road less traveled can often surprise you in the most magical way. Next postWhy is the Great Wildebeest Migration so special?